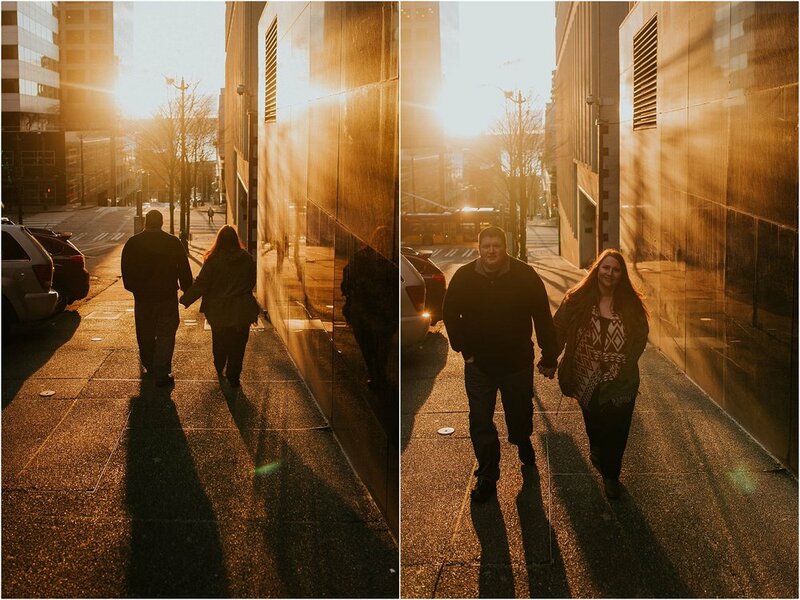 I met Lauren and Ryan downtown on New Year's Day to shoot their engagement session. When I got there I discovered that it was actually freezing cold but they were both troopers who never once complained about the weather as I dragged them around various locations! 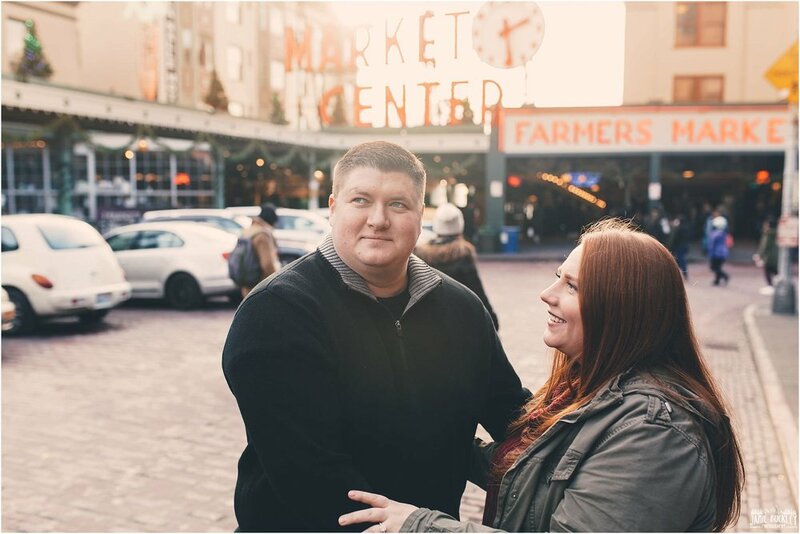 We started in Pike Place Market, one of the most iconic locations in Seattle. The sign out front is a big draw for tourists but we managed to sneak around them all to get our shots. Unfortunately when we ventured into the market for some shots we found a lot of the stalls closed because it was New Years Day. But undeterred we headed to the lower levels of the market for a couple shots before moving on. Next we headed down to the waterfront by Seattle's Big Wheel where I learned that we wouldn't actually be going on the wheel because Paul doesn't like heights. That was fine with me as it was pretty chilly to be waiting in line! 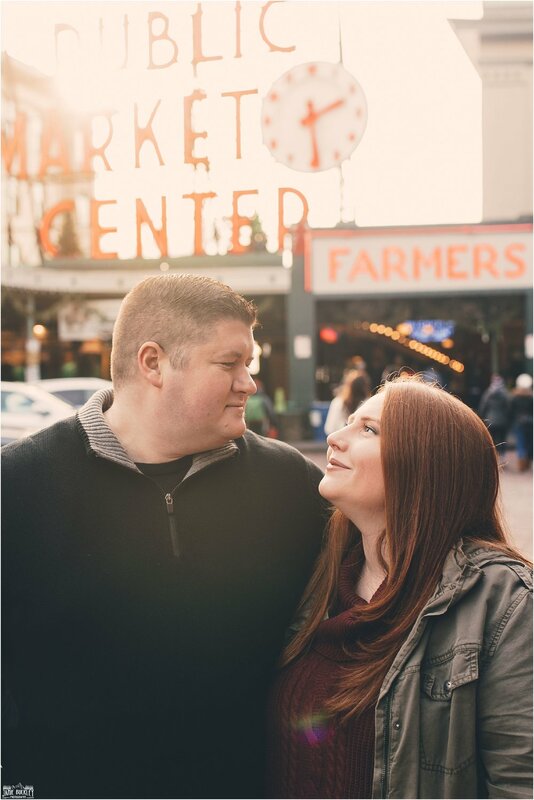 So instead we did some shots by the water and then walked over to Pioneer Square, with a stop along the way at a cute street that had Christmas lights on all the trees. Pioneer Square is one of my favourite places in Seattle. It has a ton of charm, the Underground Tour, some great pubs and my favourite building in all Seattle: the Smith tower. 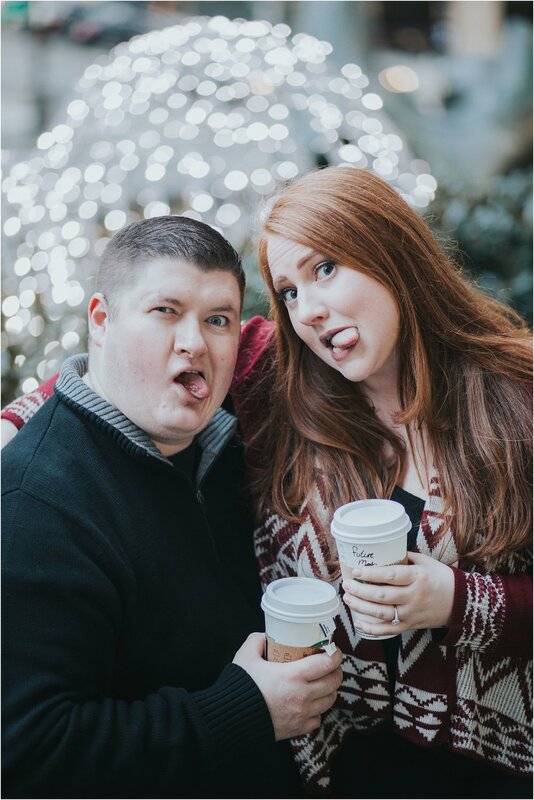 By now Lauren and Paul were feeling a bit chilly so we headed into the nearest Starbucks and shot some cute drink photos in there. But the respite couldn't last forever and so it was once more into the breach for a last set of portraits up by a giant reindeer. A giant reindeer you say? Yes! 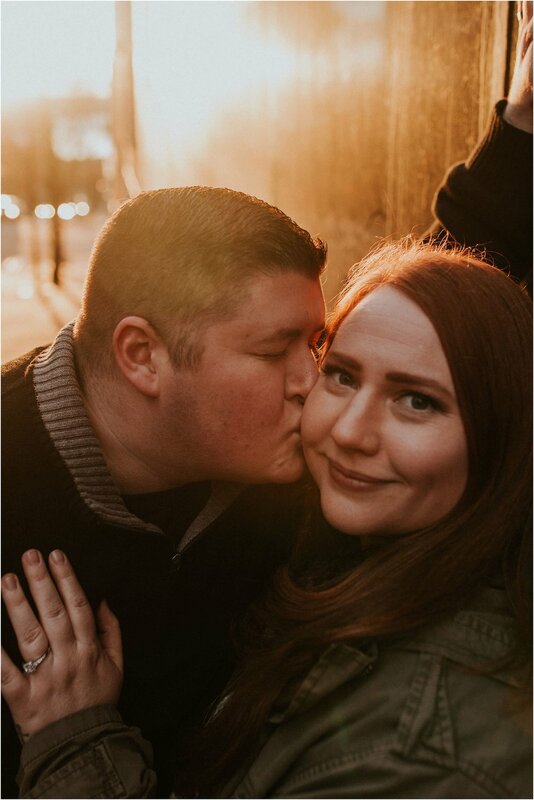 There is a giant reindeer downtown in Seattle opposite the library and I knew the lights would make for a great background so we headed over there and took our last set of portraits as the sun was setting on what was a great afternoon. But wait...there's more! 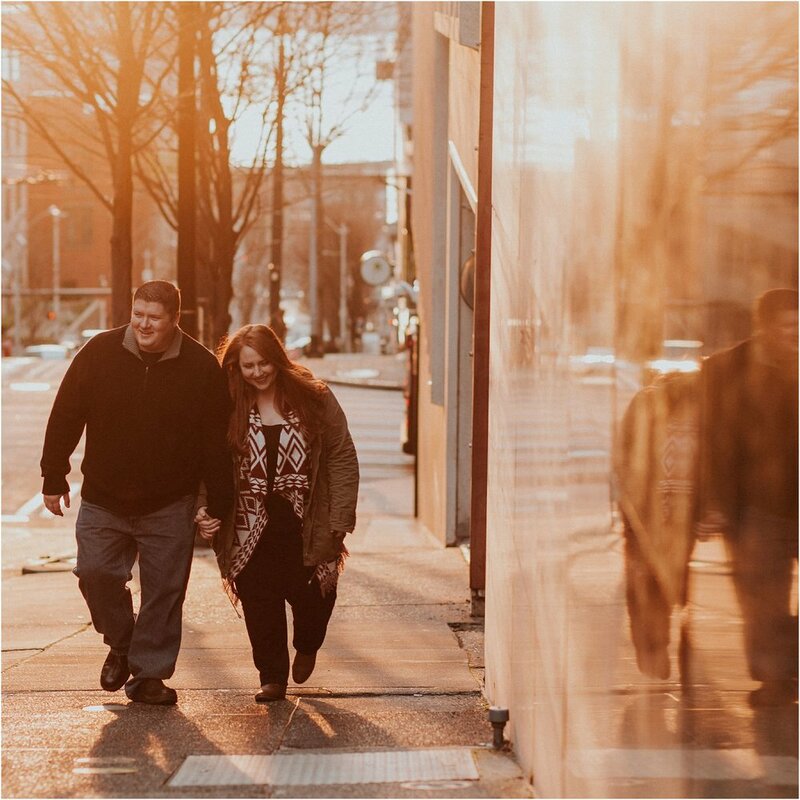 Yes as we were heading down the street to part ways I saw the sun was setting and the light was just perfect so I whipped out my camera and forced Lauren and Paul to cuddle up in front of the camera one last time. Thankfully they came out great! 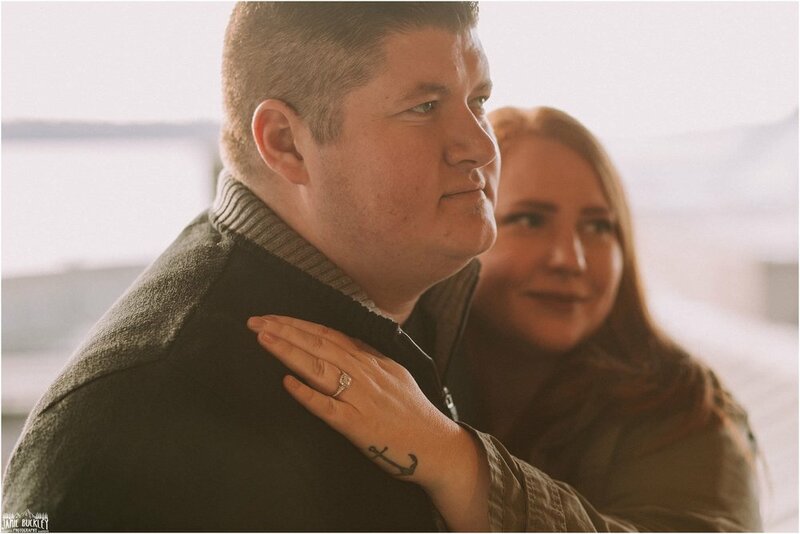 I'm so excited to shoot these guys wedding in April over on the Peninsula, it's gonna be a great day!